Shelby Pediatrics Announcements and Updates - Welcome to Shelby Pediatrics - A piece of home for your children, a peace of mind for you. Like it or not Flu Season is upon us. We have gathered some resources below for you to be best prepared to keep this illness out of your family. Also don't forget, Flu Vaccines are available now! 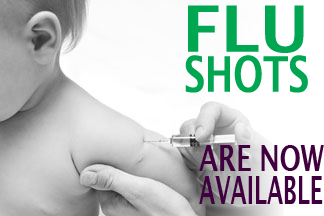 Shelby Pediatrics recommends a Flu Vaccine for everyone over the age of 6 months. Are you wondering what symptoms determine the flu or a common cold? Read our guide to symptoms! Strains are are injuries to muscle due to overstretching, or hyper-extending. On the other hand, sprains involve a stretch or partial tear of the ligament connecting two bones or of the tendon connecting bone to muscle. Sprains are typically more common in teens and young adults that in younger children. The constant stop-and-go puts ankles and knees at risk to these type of injuries. Learn more about how to treat these sprains and strains and how to prevent them from happening! Follow @ShelbyPeds on Twitter to get daily news articles, health information, and things to look out for! Don't forget to Like Us on Facebook!